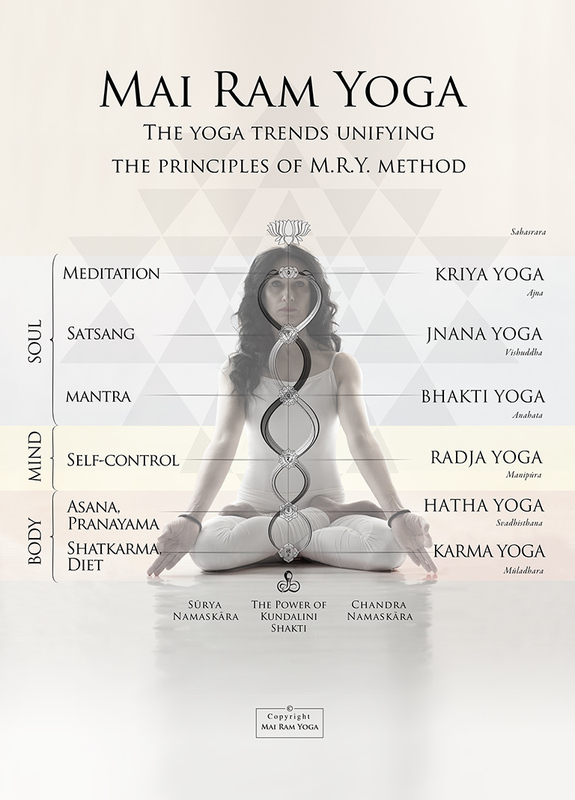 The Mai Ram Yoga method, the principles of the Mai Ram Yoga practice and the yoga trends that foster them allow developing self-knowledge and aim for self-realisation. Each person has individual subtle physical and mental features which require comprehensive practice. The Mai Ram Yoga method consists of a whole of yoga practices and a synthesis of yoga trends which help to cleanse and purify practitioner’s consciousness form impurities.